The lakes of Udaipur are famous for their serene and picturesque beauty. If you too are planning to escape the hustle and bustle of the Ahmedabad city, and experience the calmness and tranquility offered by the city of lakes, then you must opt for the hot one way taxi service of Tixilo cab rentals. You can conveniently book a taxi online at pocket friendly prices andTixilo will make sure that you have a ride to remember. Why a Tixilo hot one way from Ahmedabad to Udaipur? 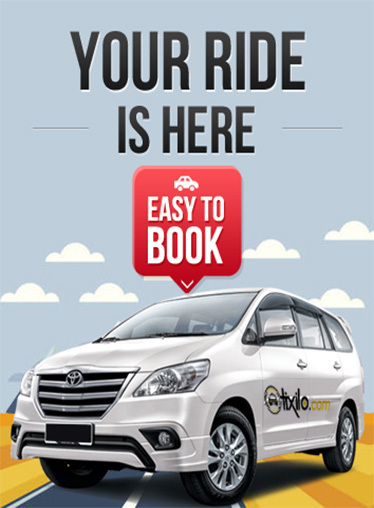 Because a Tixilo car rental service is an experienced and reputed taxi service provider, booking a cab of your choice at our website or via Tixilo mobile app is often recommended, if you wish to commute via a car rental service. We offer clean and well maintained one way cabs at quite affordable price, ensuring a safe and hassle free ride. The distance between the two stations is 258 kms which is comfortably covered in about 4 hours in a Tixilo cab. The taxi rental services that we offer are famous for providing a reliable and convenient cab rental services in Rajasthan and therefore have a good customer base. We offer a one-time pick up from anywhere in Ahmedabad and one time drop to Udaipur at affordable rates. We further assure that the cab that you booked for your one way trip from Ahmedabad to Udaipur picks you on time. We make sure of providing quality one way taxi service that is safe, relaxing and enjoyable. Here is a list of advantage of booking a Tixilo. · Wide range of vehicle choice.